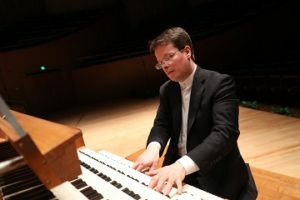 Paul Jacobs, Chair of The Juilliard School’s Organ Department, will be in recital April 7, on The Laurance S. Rockefeller Memorial Organ, at The Union Church of Pocantico Hills, 555 Bedford Road, Tarrytown. The recital is scheduled for 3 pm. Tickets are $15. Jacobs’ recital will feature works by Weaver, Bach, Mozart, Ives, Arne and Guilmant. A Champagne Reception will follow in the Parish Hall. Reservations may be made by calling the Church Office, (914)631- 2069.